Like your muscles, your bones are living tissue that adapt to outside stimuli like exercise, diet and lifestyle. High-impact exercise not only trims fats and builds lean muscle – it also makes your bones thicker, stronger and more durable. We all know vigorous exercise has measurable benefits for your muscular, circulatory and respiratory systems, but physical activity also play a key role in preventing bone loss and osteoporosis in older people and maximizing bone mass in younger people. For middle-aged and elderly patients, Dr. Alcott takes a more calculated approach. “The risks and benefits for these patients must be weighed differently,” he said, noting that issues such as osteoarthritis and joint pain can limit the ability to perform high-impact exercises. Of course, exercise is only one piece of the puzzle for optimum bone health. Proper nutrition – especially adequate amounts of Vitamin D and calcium – is crucial, as is avoiding harmful substances like tobacco and alcohol. One of the most important ways to promote bone health is to encourage children to participate in sports and exercise early in life, which Dr. Alcott said most likely improves long-term bone mass and decreases the risk of fractures later in life. 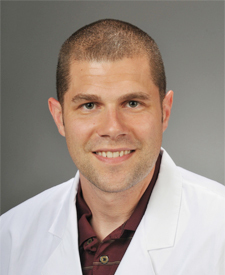 Dr. Alcott is a physician specializing in Sports Medicine with Atrium Health's Sports Medicine and Injury Care team.